2) be healthy | Do you make healthy food choices most of the time? Do you get the right type of nutrients that YOUR body needs? Where are you falling short? 3) be whole | This is pure science! If your diet and lifestyle aren’t in sync, you can’t be or feel whole. (It’s that simple.) It’s not about quick-fix diet plans or a stress management crash courses. Rather, it’s an entire way of life. And I’m so insanely passionate about custom, whole nutrition because I know exactly how important it is first-hand. Growing up in the Northeast as the child of divorced parents, I struggled with diet and stress management issues for most of my childhood and young adult life. Instead of finding an alternative path to better health, I went on a Class C drug for 6 years. Newly married and excited to start a family, after a difficult miscarriage, I couldn’t get pregnant. Test after test, there was no identifiable reasons why I wasn’t getting pregnant. Just one thought was raised….I needed to get off the IBS drugs that I had been on for too many years, change my lifestyle and tune into my body…..for the first time in my life! I educated myself, researched EVERYTHING I could get my hands on about gut health, took classes…….It wasn’t until I tapped into ME that things started coming together. Yes, ME. By listening to what MY body needed to thrive (not just survive), I was able to kick caffeine and fried foods to the curb, dump my IBS drug for good, and find the right nutritional supplements for my body. The revealing results? I got pregnant and HEALTHY! I’m so incredibly grateful to finally LIVE in a place of what it means to be Happy.Healthy. AND Whole. It is my PURPOSE and PASSION to help as many people as I can to do the same! And my living, breathing, daughter is daily proof of just how powerful whole health can be. Jayne graduated from Marist College with a B.A. in Broadcast Journalism. 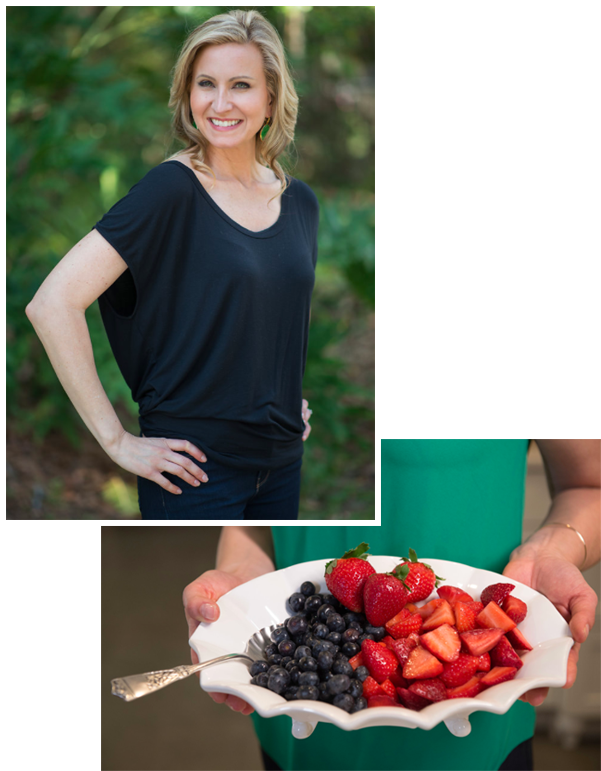 She is a Certified Nutritional Consultant in integrative health from the Institute of Integrative Nutrition and a graduate student in Clinical Nutrition/Integrative Health at Maryland University of Integrative Health. She loves spending time with her husband, daughter and 2 dogs. So, can I level with you for a sec? There is NO magic one-size-fits-all approach to healthy living. After all, the human body is a sum of all its parts, once we identify the areas that are causing imbalance (and all sorts of stress) in your life—I can then empower you to make the changes that will have the biggest impact. At the end of the day, it’s about helping you discover and celebrate whole, nutritious, good-for-YOU food and a healthy, aligned lifestyle that makes you feel like the absolute BEST version of YOU. So take a hop, skip (or jump) inside. Because when it comes to you, your health, and your whole, balanced life? The best is yet to come.